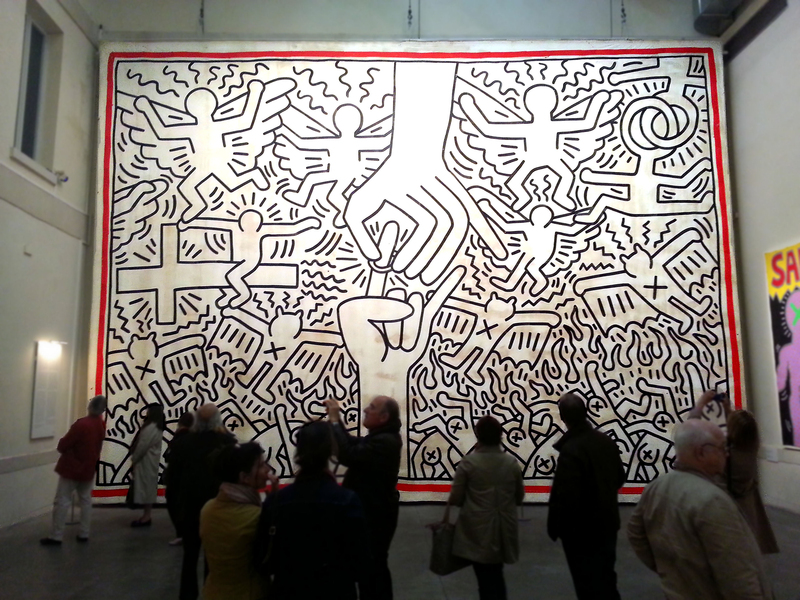 Photos from what I like to call “Keith Haring‘s other expo”. 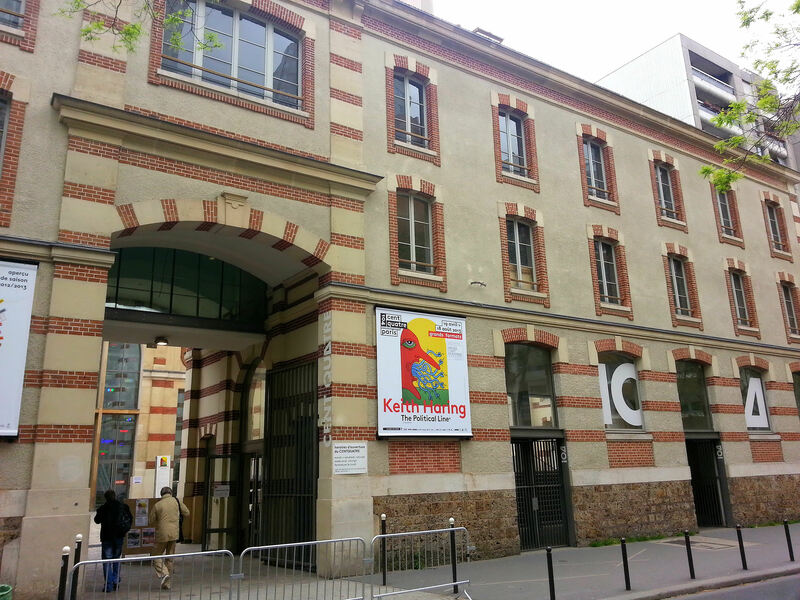 Haring’s show at the Musée d’Art moderne (or MAM, Museum of Modern Art) is (deservedly) getting a lot of attention, but not many people know that the exhibition of his larger works continues in my back yard, at the Centquatre (104 rue Curial, 75019). 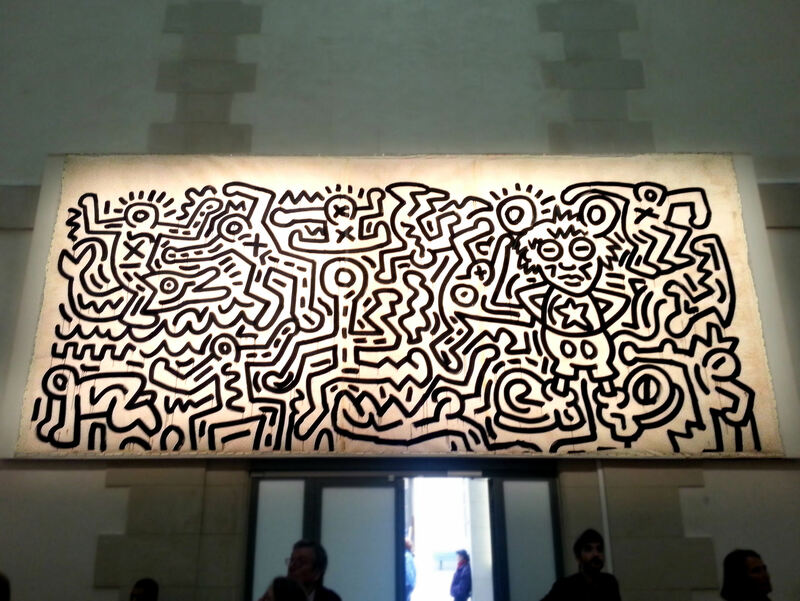 The exhibition runs until August 18, and tickets bought here will get you a discount at the Museum of Art show. A little heads-up. I stuck this photo at the end of the post as it’s sexually explicit. 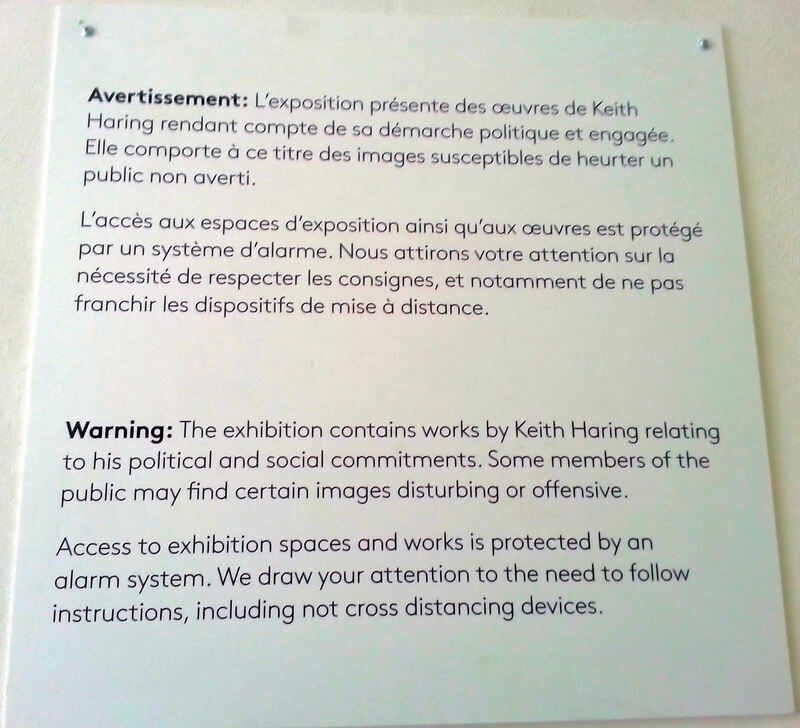 I decided to include it because the title for both expos is “Keith Haring – The Political Line”. 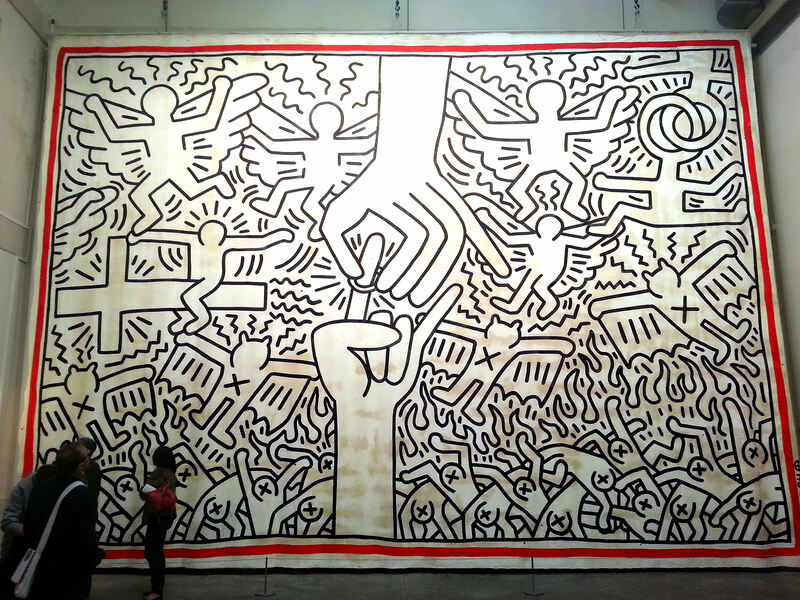 As Haring was an AIDS activist who died from the disease in 1990, I thought it important to include a sample of his political work as well. 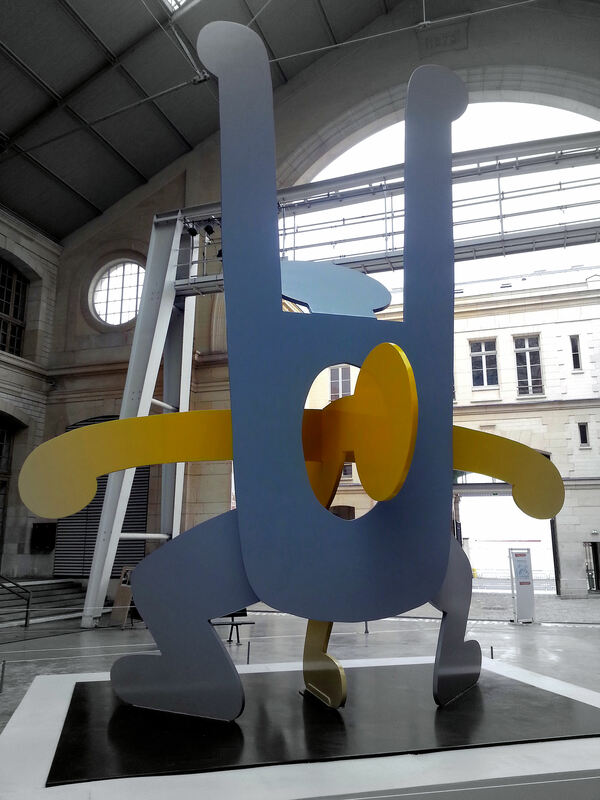 If you are offended by sexually explicit paintings, now would be a good time to click away as fast as your fingers will take you! 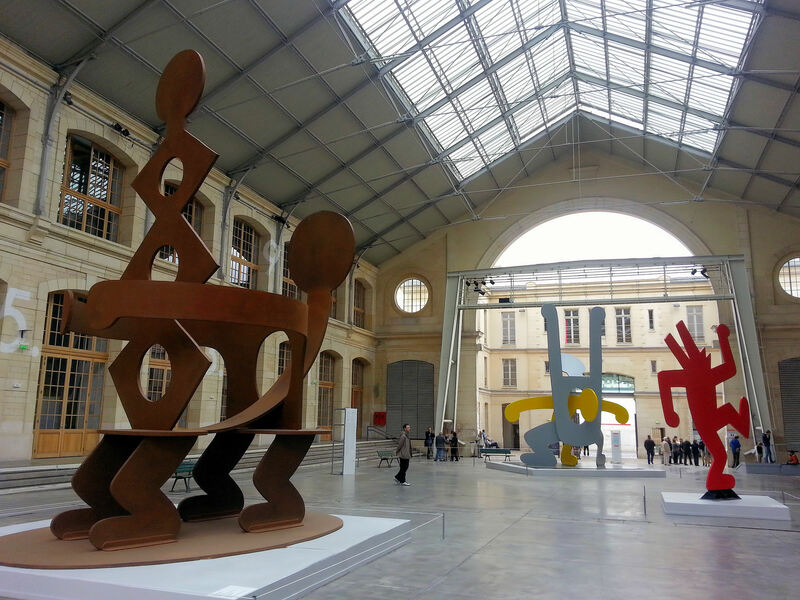 Note: I posted some additional photos of this expo over at Paris By Cell Phone.